Here’s the kind of thing you only see in Washington, DC. I saw this ad going into a Metro Station. 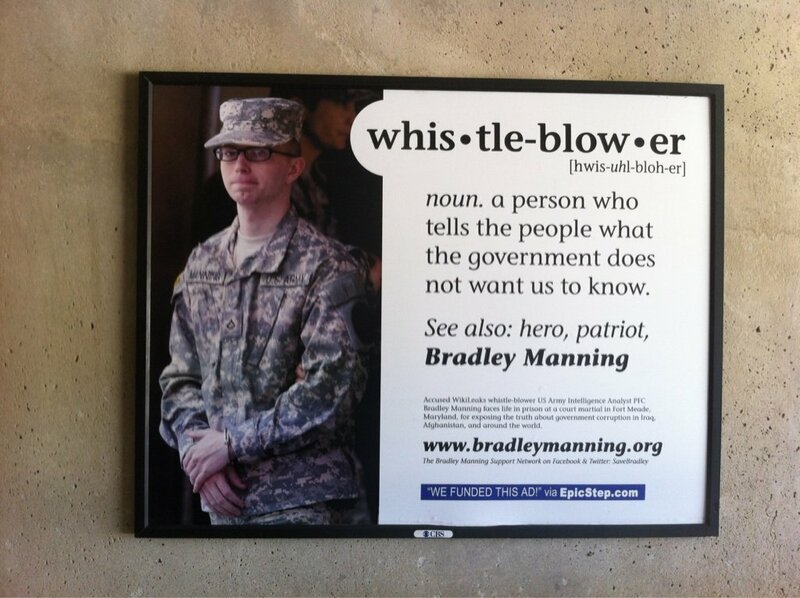 It depicts Bradley Manning, the soldier behind the Wikileaks documents about the U.S. wars in Iraq in Afghanistan, as a whistleblower, hero, and patriot. The group behind the ad is the Bradley Manning Support Network who apparently were able to put up the ad thanks to EpicStep, a sort of Kickstarter for politically-minded billboards. Now that’s an awesome ad. Good to see it placed in DC, too.